"Or helping people be their own bank. ⚡️"
- Elizabeth Stark on the notion that "every company [like Apple, for instance] eventually moves into banking." Stiglers law of eponymy states that no scientific discovery is named after its original discoverer. For example, the pythagorean theorem was well known to the Babyolnians much before Pythagoras. Other examples include Hubble’s law, Haley’s comet, and Stigler’s law itself — being self-referential. It comes as no surprise that Bitcoin is no different. There is a common misconception that Bitcoin bears no resemblance to earlier academic work. Prof. Arvind Narayanan, from Princeton university, challenges this view, in his published article named “Bitcoin’s Academic Pedigree”. He shows that almost all of the technical components of Bitcoin originates from the academic literature of the 80s and 90s. For a complete chronology of the main ideas found in bitcoin, here's the full research report. Today, the Coinbase Earn team launched a new earning opportunity with the Stellar network where you can earn up to $50 of XLM. And since you're part of the Token Daily community, you're getting early access to it here. Here's how Earn XLM works: if you are eligible, you can earn up to $10 worth of Stellar Lumens by viewing short, comprehensive Coinbase videos on how the Stellar payment network works. And you can get up to $40 worth of Stellar Lumens by referring your friends to learn, too. As someone whose profiled every major coin here, I have to say I'm impressed with how well Coinbase has distilled relevant info about each coin without sacrificing accuracy. I think we finally have a guide to point our non-crypto friends and family to so they can learn more about the space. 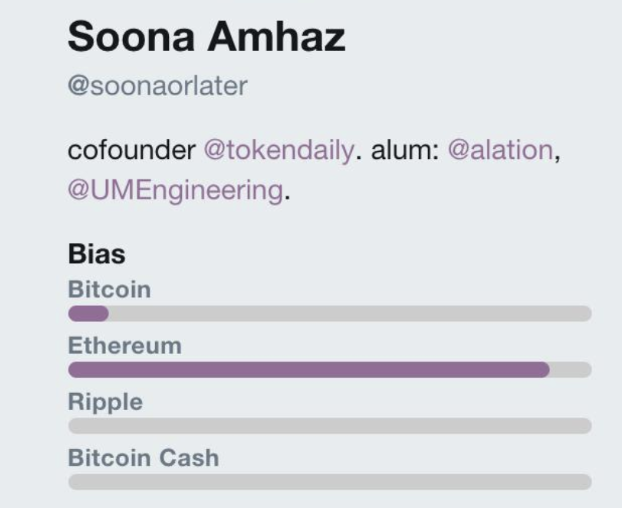 A chrome extension that shows just how much you tweet about certain coins. Don't want to keep up to date with the latest in crypto?